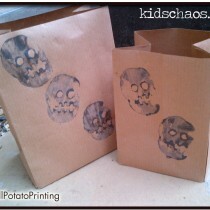 We love making for our kids. 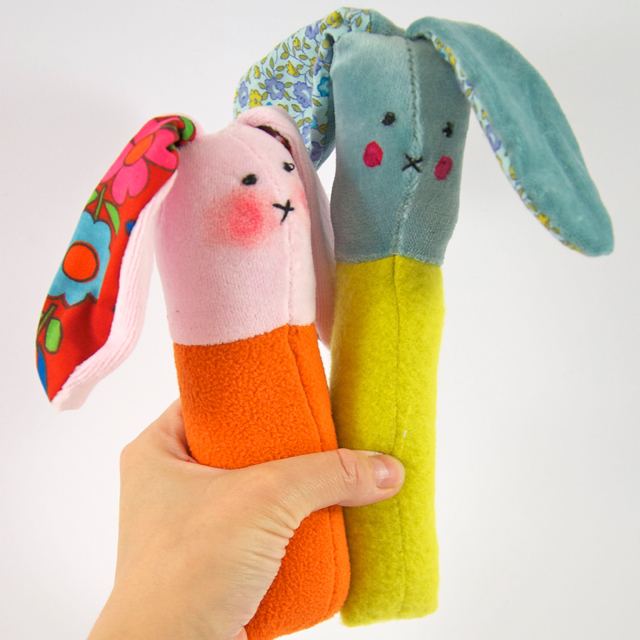 Here is adorable Bunny Rattle Craft – how cute is this? Everyone loves a bunny – we love to see their little powder puff tales bobbing along, and who can resist reading the Peter Rabbit books to our children – takes us back to our own childhoods! 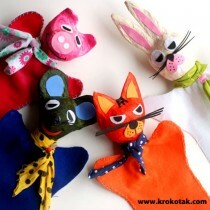 So wouldn’t these Bunny Rattles make lovely “new baby gift”, or Christmas stocking fillers. We have saved some of our old ‘new baby’ clothes, hoarding them in the bottom draw – and these have totally inspired us to get crafting for Christmas gifting – what do you think? 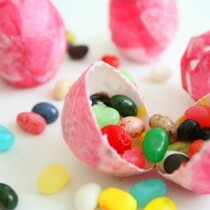 OR – thinking and planning ahead – what about alternative Easter Gifts?? – instead of chocolate, make some of these cute bunnies. Now my kids are no longer babies, but I know they would adore one of these bunnies, especially if I use some of their old “keepsake” clothes for the bunny ear detail. Super adorable. Visit Johanna Rundel for the full how to!